Mind body spirit healing - don't we all crave this? 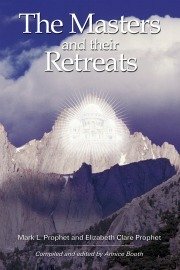 I want to share with you a blueprint for healing - techniques for true healing and balance in body, emotion, mind and spirit. Do you have a physical pain? Are you in discomfort? Is your mobility effected? Do you have a short term illness like a head cold or the flu? Or do you have depression? Or anxiety? Or both? Do you suffer from stress? Is life getting too overwhelming? Do you feel that your life isn't going how you want it to in your relationships, work, and in general? Do you suffer from painful memories? Well, did you know that any dis-ease of the mind or the body is not just a physical thing, or a mental thing, or an emotional thing. It's all integrated, so it's mind body spirit healing we need. Our lives are stressful, and we need to understand why we are hurting, and not just physically, but mentally and emotionally. We may be pursuing a good diet, incorporating exercise, using stress reduction techniques and yet we still don't feel whole. We sense a soul pain within. So, what keeps us from feeling healthy and whole? Well, there are four essential keys that we can apply now to unlock deep, lasting health. Health at all levels of our being. They are spiritual keys. They are simple yet practical. If we apply them, they will bring healing at deep levels of our being and can be used for others as well as for our communities, nations and planet. Watch this mind body spirit healing video to discover the 4 keys to healing. 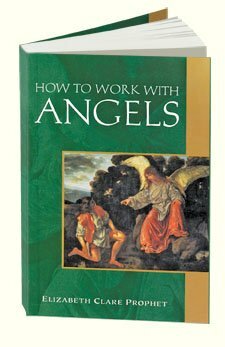 Here is a dictation by Archangel Raphael the Archangel of Healing which he delivered through Mrs. Prophet. It's a wonderful ending to the webinar, or to wtach at any time. 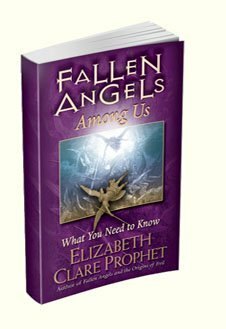 She raised her vibration to the level of the Christ and Archangel Raphael spoke to her from that level. The message was then delivered through the Holy Spirit. Every dictation realses light. A replay does the exact same as if we were present at the live event. So I would like to invite you to partake of the light emitted by this dictation. 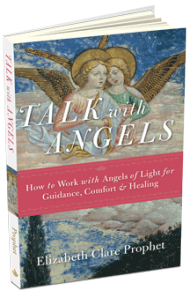 Archangel Raphael speaks of the healing of the soul and he places his Healing Thoughtform around those who are present. So you don't want to miss that dispensation! Sit with your arms and legs uncrossed, your hands separated in your lap, feet flat on the floor and your spine straight. This allows the light to flow freely along your spine and through your chakras, or spiritual centers. In this way you can receive the maximum light. We all have light within us. We were made that way. When we access this Inner Light we can then heal our soul and spirit. This is the source of all healing. The state of our spirit determines the vibrancy of our health. There are different ways we can acknowledge that light and get in tune with it. Our thoughts govern our life whether we are aware of them or not. What we think about today creates our tomorrow. Some people call this the law of attraction. Whatever we we have our attention on, that is what we will manifest. So negativity in thought, creates a negative physical world for ourselves. Replaying our negative past perpetuates it into our future. Critical thought of others and ourselves manifests physically. Gaining God-control of our thoughts is made easier with the help of the Emerald Green Ray. When we harness our thoughts we heal the mind and our bodies follow suite because our mind, body, spirit, emotions are all integrated. We can heal our emotions and raise our consciousness with the cleansing, merciful, forgiving Violet Flame. The light of forgiveness and the high frequency energy of the violet flame can bring about the healing of our emotions. It can bring comfort to the thoughts and feelings that won’t go away. It can also bring healing to the body. The power of forgiveness can be an overlooked key to healing. In fact many say that forgiveness is the beginning of healing. 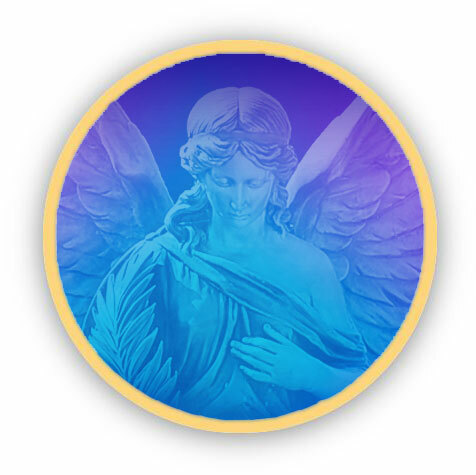 We can hold our body in a thought-form of healing Light … and ask the angels to join us on our mind body spirit healing journey. They will come when we call. 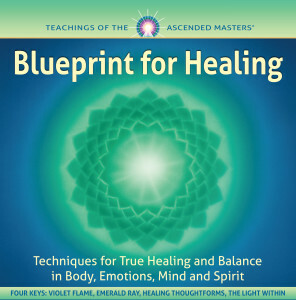 Check out this series of pages to learn more about mind body spirit healing. 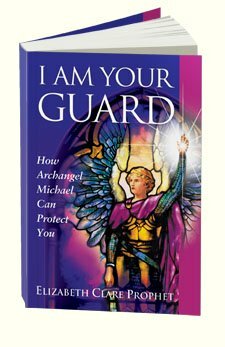 Take a look here for more spiritual healing methods. A Spoonful of Spiritual Quotes for words of spiritual encouragement delivered FREE to your inbox every week. Receive a special gift when you subscribe!